Each year during Lent, Catholic Relief Services (CRS) promotes their Lenten Rice Bowl campaign to raise funds and educates Catholic youth on international relieve and development work. Part of the education includes an examination of climate impacts on the work of CRS around the globe. CRS will host a webinar on their Lenten Rice Bowl program Thursday afternoon, January 17. The webinar is designed to provide information on integrating Rice Bowl activities into a parish youth ministry program. Parish directors of religious education, youth ministers, youth ministry teams, catechists and other parish staff and volunteers are encouraged to join in the webinar. 2013 Farm Bill: Will Congress act this year? As we noted in recent bulletins, Congress failed to authorize a new farm bill last year. So we begin 2013 with a nine-month extension to the 2008 Farm Bill — which means that the newly-sworn 113th Congress will have to deal with a new farm bill this year. The fiscal-cliff settlement, which has extended the old farm bill until September 30, was frustrating to farm groups and others, including faith groups, who spent 2012 pushing new programs. Now we must start again, most likely under a tougher spending outlook. At the upcoming Catholic Social Ministry Gathering in Washington, D.C., NCRLC will join with USCCB staff and others to discuss the 2013 Farm Bill during an issues session on Monday, February 11. We will post the outcome of that session and highlight the advocacy actions to push for a fair and just Farm Bill this year. As part of our educational efforts around farm policy, NCRLC is beginning to explore the connective web – or nexus – of how we grow food, use water and produce energy. Members and readers of our Catholic Rural Life magazine will know what we have covered these topics in past issues; now we seek to better understand the connections and intricate relationships among these essential ecological and economic sectors. 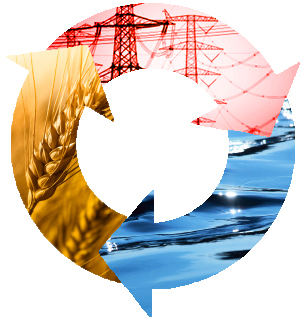 Our network may be interested to read a new paper released by GRACE titled, “Food, Water and Energy: Know the Nexus.” The paper, which can be downloaded from their website, explains how tension among these three interwoven systems has consequences on our public health, economy and environment. They also share steps you can take – personally or professionally – to help. 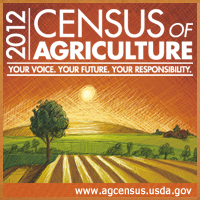 The 2012 Census of Agriculture is being mailed to farmers and ranchers across the United States. Conducted every five years by the USDA’s National Agricultural Statistics Service, the Census provides detailed data of many facets of U.S. agriculture. It looks at land use and ownership, production practices, expenditures and other factors that affect the way farmers do business. All farmers and ranchers should receive a Census form in the mail by early January. Completed forms are due by February 4, 2013. Federal law requires all agricultural producers to participate in the Census and requires USDA to keep all individual information confidential. Are you looking for ideas to remember the life and work of Martin Luther King, Jr.? Resources for Catholic Educators is a web site that seeks to assist Catholic teachers and catechists in their role as educators of the faith by providing them with information and easy access to resources. Their webpage devoted to Martin Luther King, Jr. provides nearly 50 links to informative and educational websites. This year’s national holiday also happens to coincide with President Barack Obama’s second inauguration ceremony. In the spirit of this day, we pray that President Obama’s second administration may be conducted in righteousness, and may perpetuate to us the blessing of equal liberty.